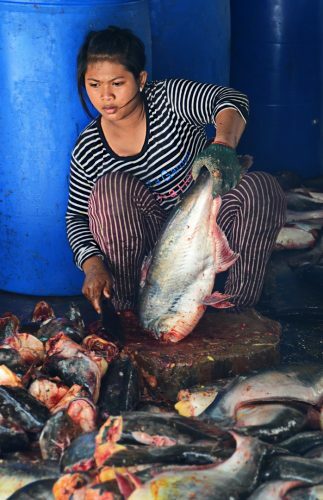 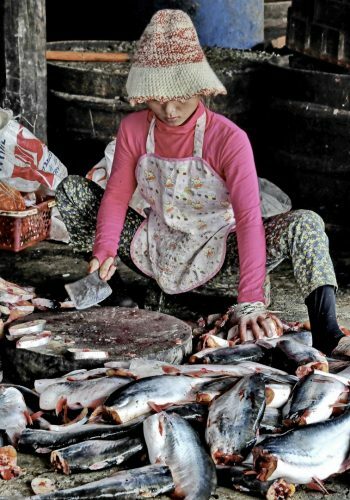 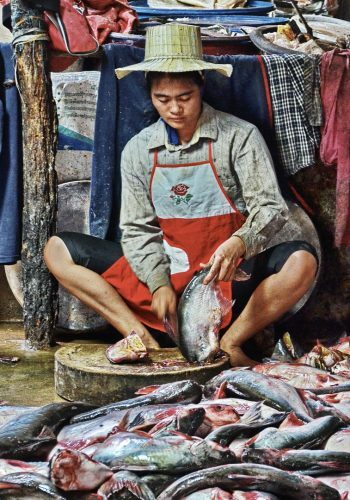 A few images of some of the hard-working women in Battambang’s Phsa Prahok or fish market. 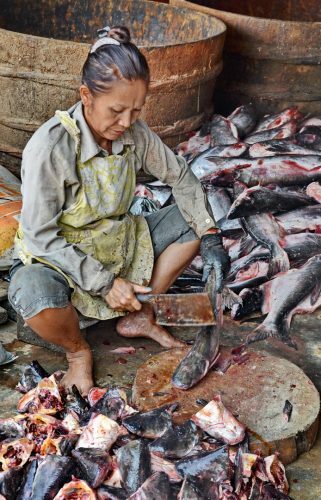 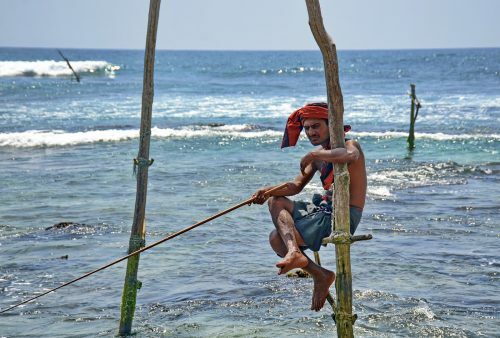 To point out that topping and tailing fish all day long, every day, is extremely laborious, dirty and tiring would be rather stating the obvious and we only hope that having a giggle at some crazy tourist photographing piles of dead fish, at least briefly, breaks the monotony. 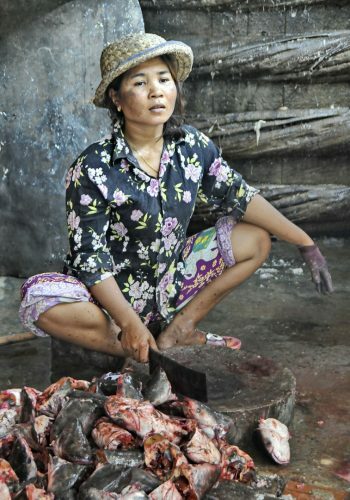 Fish – either smaller ones caught locally in the Sangkar River or larger ones imported from fish farms in nearby Thailand – are either filleted and dried in the latter case while smaller ones are preserved in huge barrels topped with salt creating the infamous prahok – fermented fish paste. 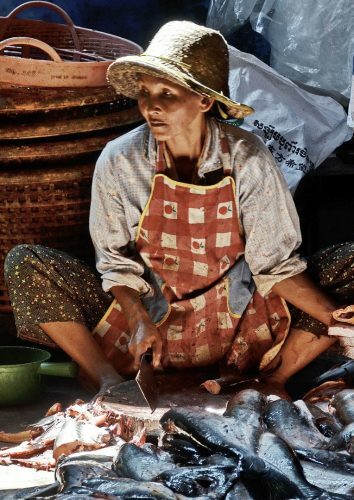 The smell of the market can be, to say the least, pretty pokey but it is the basis of much Khmer cuisine and, used sparingly, the paste is added to many popular local dishes without you ever guessing. 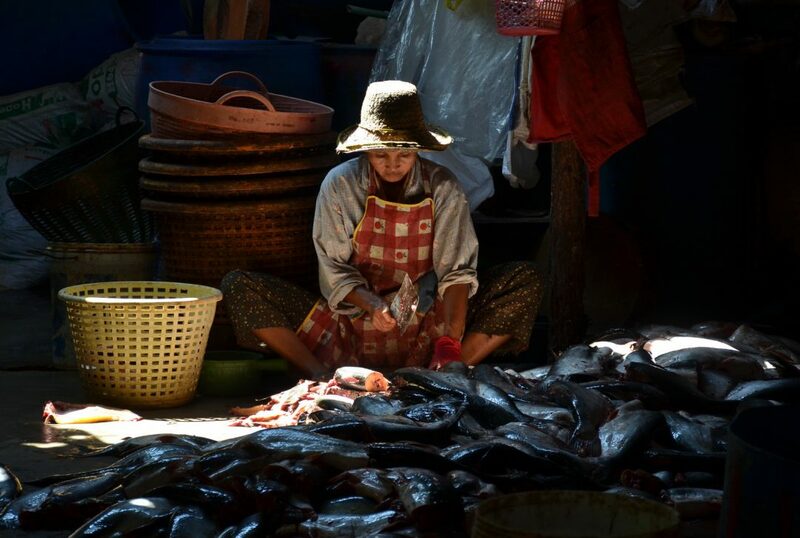 A fascinating visit to the fish market is included on our Battambang, cottage industries and local handicrafts tour and which, we hope you’ll agree, also provides some great travel photography opportunities. 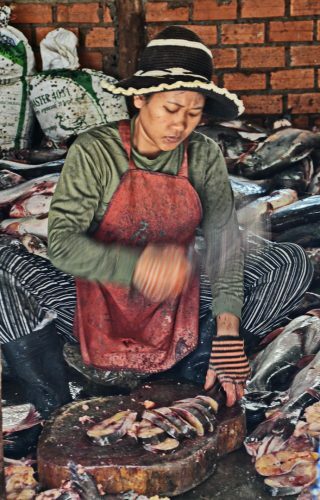 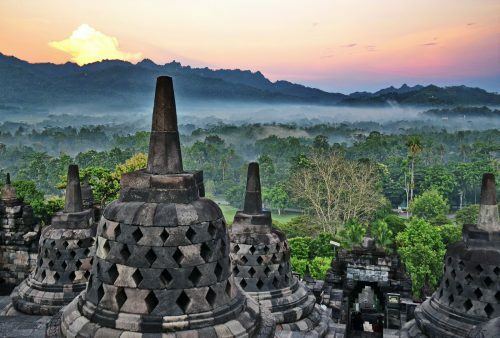 Our Cambodia Overland, Indochina Adventure and Saigon to Phnom Penh tours all include this half day tour.